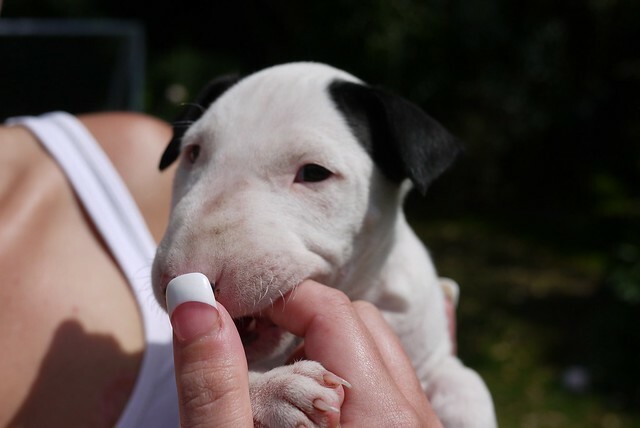 Did you actually get a Staffordshire Terrier? If so, what is your next adoption? A clone of Evel Knieval? 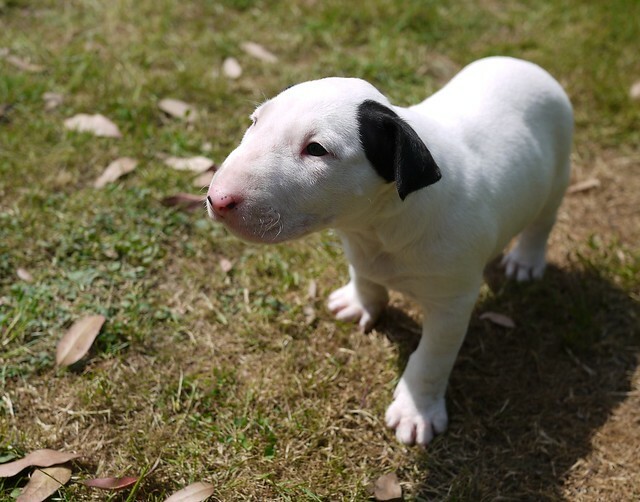 Looks like a bull terrier. Isn't that the Target mascot? German Shepards or Border Collies are the best dogs, but terriers are good dogs too. flyboyJohn wrote: German Shepards or Border Collies are the best dogs, but terriers are good dogs too. three posts in and you want to start a dog fight........welcome. 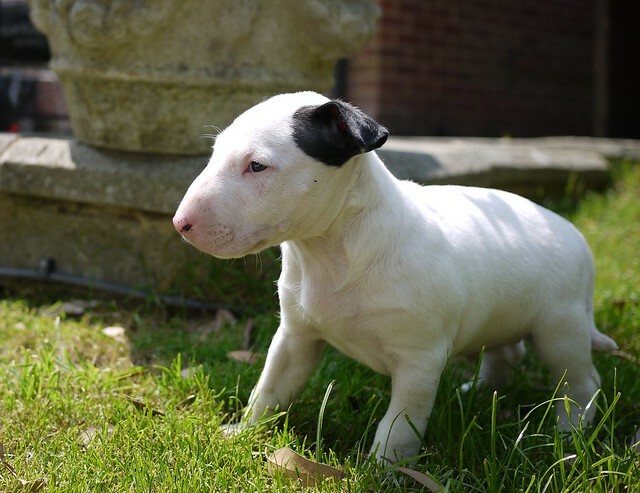 He's an English Bull Terrier, none of your foreign muck breeds in our house mate, right Dave? Phots to follow when I'm not so busy managing the White Man's Burden - right Dave? A bit bigger, about 11 weeks here, getting very cocky as well. He chewed everything here as his teeth started coming through. Jesus you ought to trim your nails. Purebreds are sickly and breeders can get fucked. Rescued mutts are the best dogs. Ours is a half-Doberman, half-Shepard from the pound.